Creativity and Italian design are at the base of the design and creation of Saffron products, created not only to be functional and decorative, but also to give life to dreams and emotions. 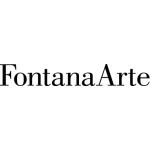 Creativity and Italian design make up the basis for product design and realization of Zafferano collections, created not only to be functional and decorative. Cameron Design House is an award-winning British bespoke sculptural lighting company based in London. Founded by Ian Cameron in 2014, Cameron Design House has become synonymous with unique, contemporary design and refined craftsmanship. Every piece is conceived and handcrafted in our studio workshop located in the leafy residential borough of St John’s Wood. 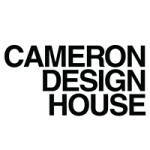 Since 2014 Cameron Design House has grown into a globally recognised design studio, with quality and precision as an inherent trademark throughout our lighting pieces and client service - from design through to delivery. Using organic and precisely engineered elements, we create custom feature installations which are handmade to a client's specific requirements, allowing for bespoke sizing, configuration and finish. Ian has a shared history between the United Kingdom and Finland and has combined the influences of vibrant central London and the tranquil Nordic countryside into his sculptural pieces. Proudly designed and made in Britain, embracing the British tradition of exploring the far reaches of possibility together with the Nordic premise of clean lines and maximising lightness, Cameron Design House prioritises both form and function to achieve beautiful, enduring designs. Prateek Jain and Gautam Seth began klove studio in 2006 with the goal of making light products that merged fantasy, reality, functionality and design. Bent on experimentation and inspired by the skills they learnt from working with traditional Indian craftsmen. The duobegan to hone their dream of creating a hands-on, locally grounded brand that was synonymous with the highest quality of hand blown glass possible. Now, more than a decade in to business, klove has become a globally applauded brand. Employing over sixty highly skilled workers, the brand has developed a wide range of products that span larger than life 3D installations and basic, functional lighting for the home. Each product is stamped with what has become klove’s signature: bold, refined design that borrows equally from Prateek and Gautam’s roots Indian roots and their lovefor global travel and adventure. Hive Home is a light design studio based in Mumbai, offering a stunning range of bespoke light installations, created to challenge and enhance spaces such as hotel lobbies, receptions, stair cases, atriums, restaurants, private residences, etc. The designs have been developed to create sculptural focal points for specific areas within both large and small interior spaces. Hive Home, in order to embody their unconventional artistic vision, endows it with the precision and mastery of glass makers and produce impressive creative oeuvre. This is manifesto of Hive Home’s uncompromising mission to transform glass into breathtaking light and design experiences. Hive Home combines the authenticity of glass craft with innovative technologies and creative craftsmanship. In a few years, Hive Home has established itself as authority delivering bespoke lighting sculptures and light installations made from hand blown glass. Alex Davis is an artist and a designer, who lives and works in new Delhi, India A graduate of Mechanical Engineering, went ahead to do a Masters Diploma course in Product Design from the National Institute of Design, Ahmadabad and then got his Masters degree in Industrial Design from Domus Academy, Milano, Italy. 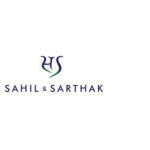 His work epitomizes ‘India Modern’. One of the first to exhibit collections for Interior and Exterior spaces, he has set a bench mark for original and contemporary design. 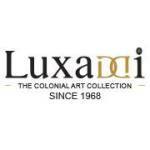 He has been showing his works through solo shows in various art galleries across India as well as at prestigious international fairs like Scenes d’interieur at Maison et Objet, Paris, Solone del Mobile, Milano and Abitare il Tempo, Verona. We are fascinated by the thought of which is more important the stone that has in it, an unseen beautiful world or the hand that unfurls this world or maybe it is the moment of oneness where the stone meets the hand and becomes an art From what began as a hobby to collect marble artefacts and recreate 17th century Italian inlay, turned into a destination to find distinct works of art for those with a passion for marble and semi precious stones. We asked ourselves – what can we offer to modern homes to add to the artisanal allure while creating an intriguing space Colourful hard stones are sourced from the finest quarries of India, Italy, Vietnam and distant lands – and sliced using ancient bow-sow technique by hands. The design is then traced on the paper, tiny shapes of which are cut and glued on the stone. The semi-precious and coloured shapes are then carved out with precision and inlaid on the base to produce a lovely piece of home decor. It’s a journey only the master craftsmen take and the result so beautiful – you can’t help but admire! In the trove Carved Additions, you will find home accents that are not just functional and beautiful, but bring a timeless air to almost any setting – indoors, outdoors, living, garden, porch, patio, or elsewhere. You will also come across museum-worthy statements that will bring Italian aesthetic to your home in an instant. Our intention is to turn ordinary into one-of-a-kind; entryway into gallery; rooms into respite; and stone into a story. 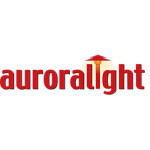 Company president and lead designer Michael Joye founded Auroralight in 1996. His guiding vision: to build a better landscape lighting fixture, capable of enduring the coastal California environment without sacrificing aesthetics or craftsmanship. From the beginning, Mike knew he had to work with materials that were both durable and elegant. The aluminum and plastic fixtures on the market lacked refinement and consistently failed under beachside conditions, so Mike settled on pure copper and solid brass for his new designs. These materials have since become the hallmarks of the Auroralight brand, enabling our luminaires to withstand the effects of salt, sea, and time with grace. In fact, you'll find many of the original MARINER SL16 Spotlights that Mike hand-built nearly 20 years ago still shining in landscapes throughout Southern California.. For over 20 years, our award-winning designs and uncompromising quality continue to raise the standard of excellence for the entire landscape lighting industry. We bring state-of-the-art engineering, CNC Machining Technology, and decades of real-world landscape lighting experience together to produce a family of exceptional products…products designed, manufactured, and assembled right here in California, U.S.A. Simply put, no one else does what we do. For those who seek the finest in precision-engineered, architectural-grade lighting and accessories, Auroralight is truly the exceptional choice. 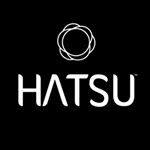 Estate-quality lighting and accessories that deliver a lifetime lighting solution…guaranteed. 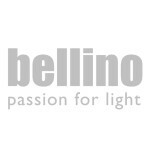 Since 1984 Bellino lighting creates decorative lighting. The collection Dulce Forma - especially handmade products created in 2008. 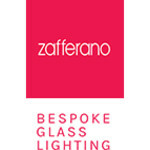 In 2011 both brands were brought together after the company was acquired by Bellino Lighting Dulce Forma. Beginning in 2014 we moved to our new office in Kortrijk-Zwevegem Moen. We built a large logistics warehouse and a showroom for our professional customers. Fueled by a passion for light, form and matter is assembling our collection has grown over the years into a permanent search for new materials, interesting design and an optimal price / performance ratio. We are extremely grateful to you for giving us all stimulates years to repeatedly develop a beautiful, attractive product in an atmosphere of trust and respect. Brilliant light for atmospheric interiors. 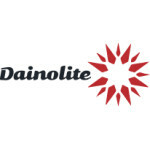 In the lighting sector, the technological evolution resulting from the advent of Leds is proceeding quickly and increasing public awareness of energy saving and maintenance issues. This phenomenon makes it essential, on the one hand, to create new lamps with Led light sources, and on the other to apply this new technology to existing pieces originally intended for traditional light sources. This is how fixtures such as Gio Ponti's Bilia, Pietro Chiesa’s Luminator, Max Ingrand’s Fontana to name a few, all of them still extraordinarily contemporary with regard to their form, design and materials, now shine with new Led light, thus becoming even more contemporary. A revisitation not only of the technology, but in some cases of the aesthetics as well: Bilia now comes with a brass cone, Luminator comes in the original colors from 1933, metallic blue and white, and Giova has a new gray cap with a gold base. A special mention goes to Metafora, the table lamp that architect Umberto Riva designed for FontanaArte at the height of the creative explosion of the early ‘80s, when Gae Aulenti became artistic director and wanted to set up a creative laboratory where established masters and young talents could freely reinterpret the company’s timeless values. Bilia, Fontana, Giova, Luminator, Naska, Nobi, Uovo, Metafora are the ageless Italian stars of international lighting design, the glamorous and immortal divas ( LEDive ) of the last century and the new millennium. 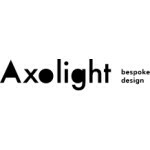 Axolight is one of the most dynamic companies in the world of Italian design and one of the leading companies in the high quality indoor lighting sector.